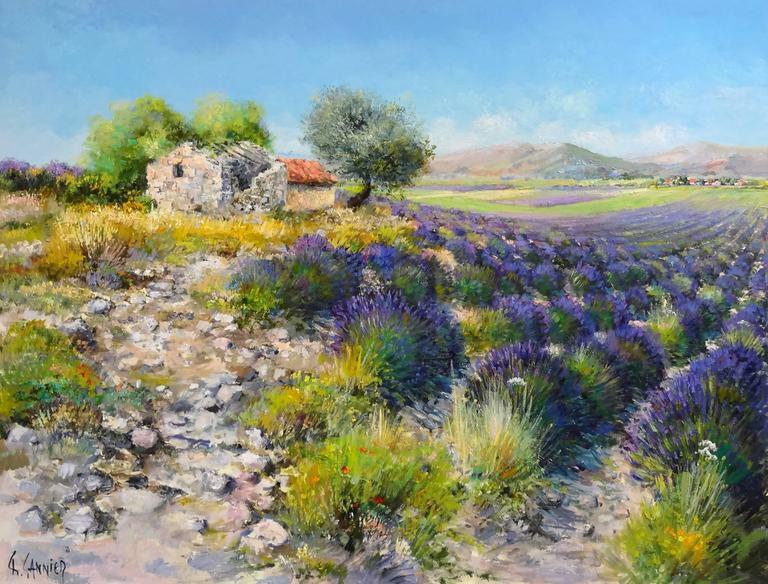 This stunning landscape is painted by French artist, Daniel Sannier. 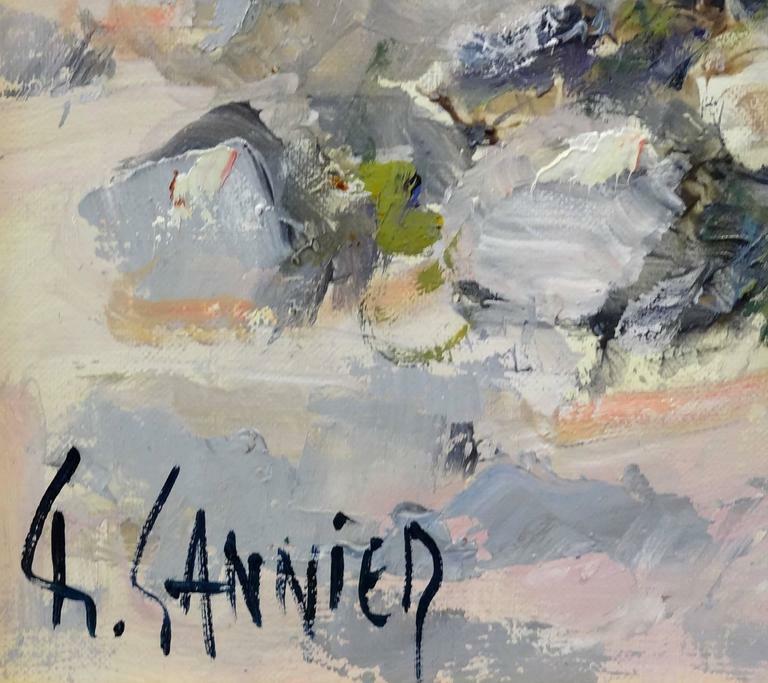 His wonderful composition draws the viewer into the painting. 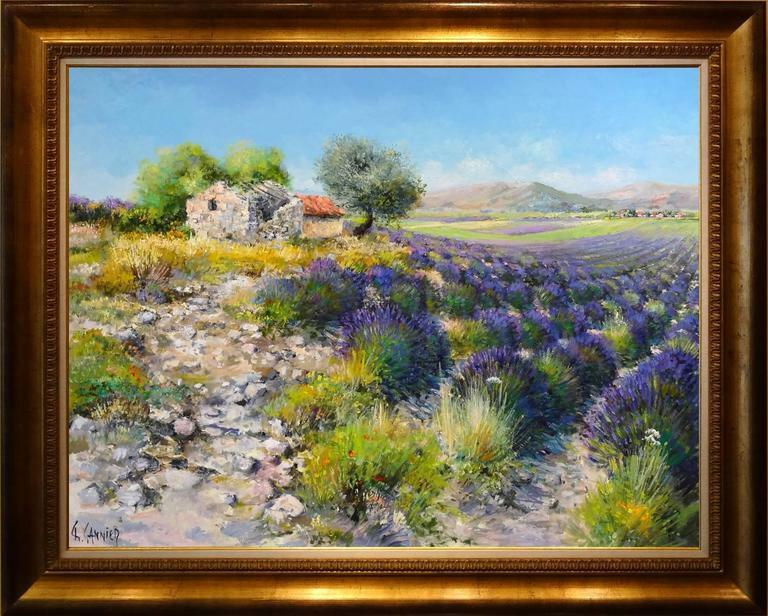 The lavender fields lend well to his impressionist style. 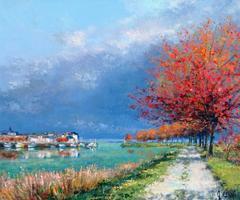 He uses thicker brushstrokes to create the stone pathway leading up to an old home. Daniel Sannier is a self-taught artist and is a member of the Sociétaire du salon des Indépendants. 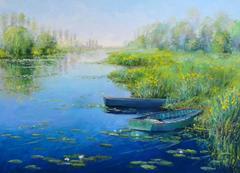 He has been awarded many prizes and his works can be seen from Europe to Asia, as well as in the United States.